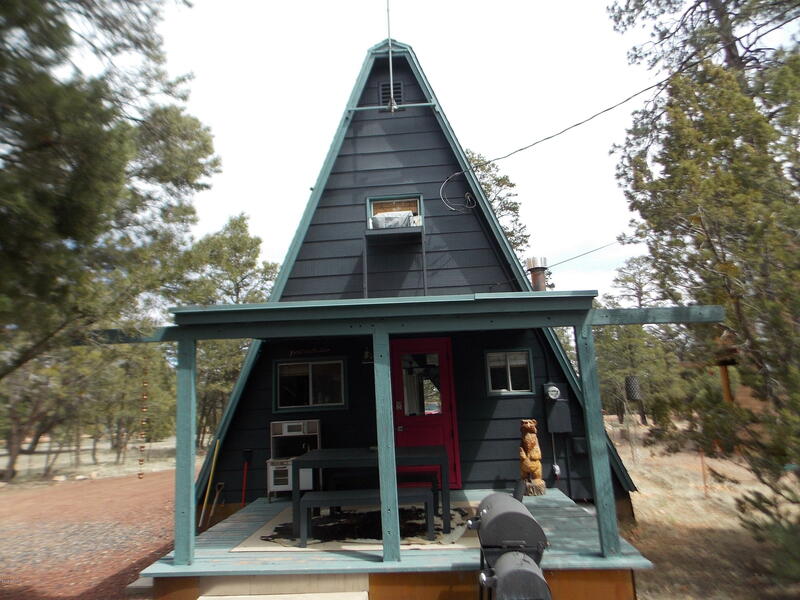 Great cabin to use as your weekend home away from home and enjoy the cool mountain air. This cabin has been remodeled and updated with the perfect home-away-from-home vibe in mind. It is a Superhost property on Airbnb and the sellers are willing to transfer the successful account to the new buyers if desired. This property sits back on a heavily treed half acre with a garage for the toys. Living area with a wood stove that has an electric insert for those cool nights. Could make two bedrooms out of the upstairs-now very open with plenty of sleeping area with an office space. Ready to move into and begin enjoying as it is being sold COMPLETELY FURNISHED with some perfect mid-century modern pieces !!!! Plenty of room to enjoy the outdoors or just relax on the covered decks.